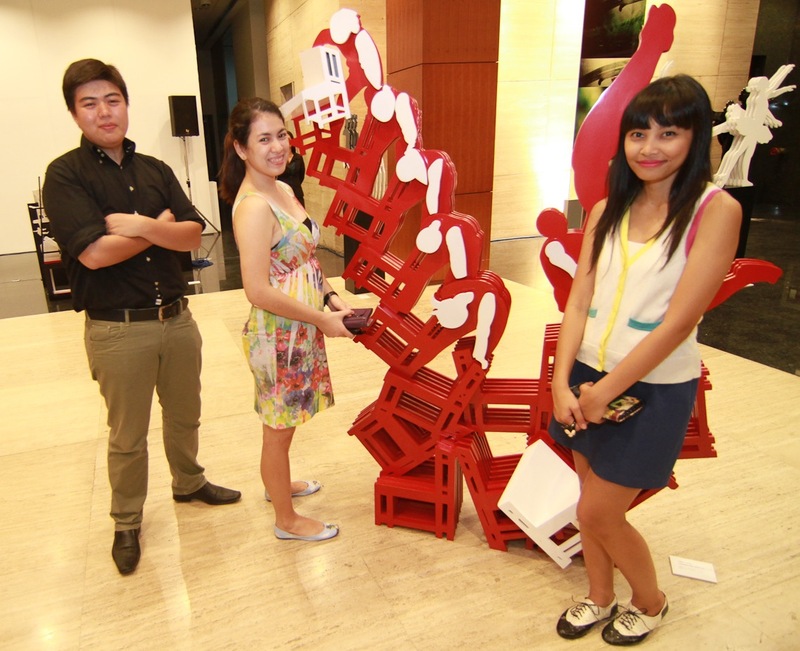 Last April 29, I had my first art exhibit launch experience care of my blockmate EJ. 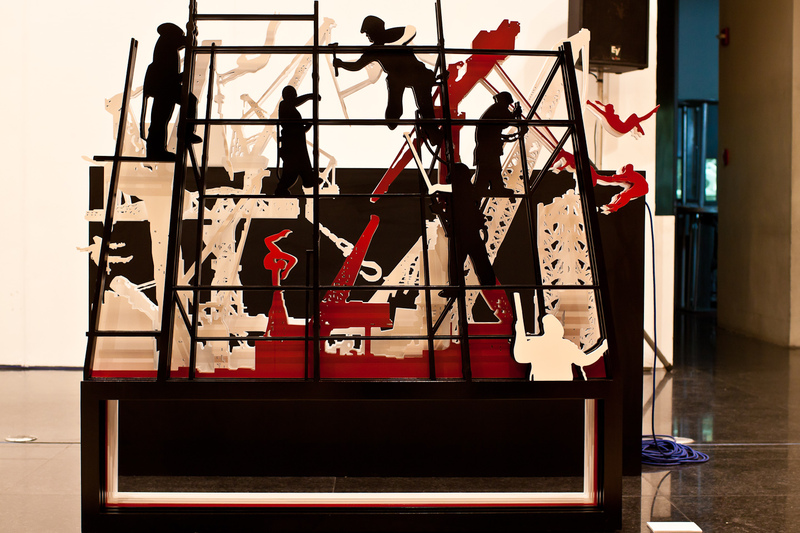 His cousin, Carlo Calma, launched his 18-piece wood sculpture exhibit entitled “Grammar of Movement”. Being that EJ only invited me hours before it happened, I was uncomfortably underdressed. Nevertheless, I wanted to go to Ayala Museum and see what it was all about. 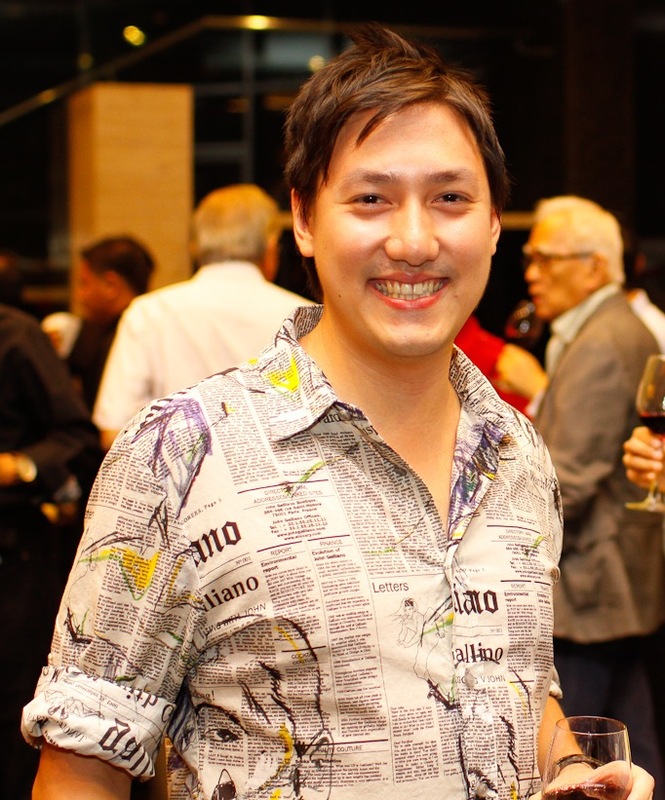 Carlo Calma is a third-generation artist; his family name has become synonymous with the best of Philippine design and architecture. With his show, it’s evident that he’s also adept with his hands in manipulating wood as a medium. Sculptures can be beautiful because they look very realistic. What Calma did, however, was use the medium to express not the visual realism of his subjects, but the kinetic realism of people. What he focused on bringing to life are the movements our bodies make — movements that often happen too fast that we don’t get to appreciate them. Calma details the subject’s movements as opposed to its features. Reminds me of our shadows! 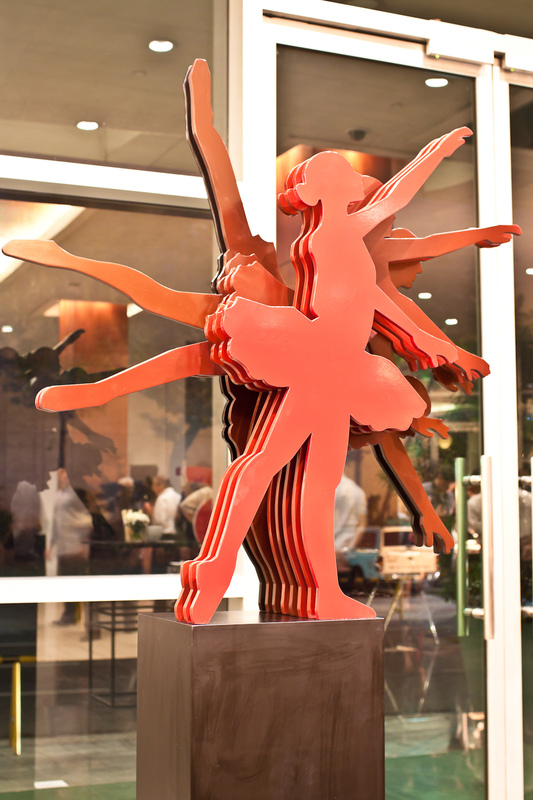 Naturally, Calma was largely inspired by dance to depict movement. 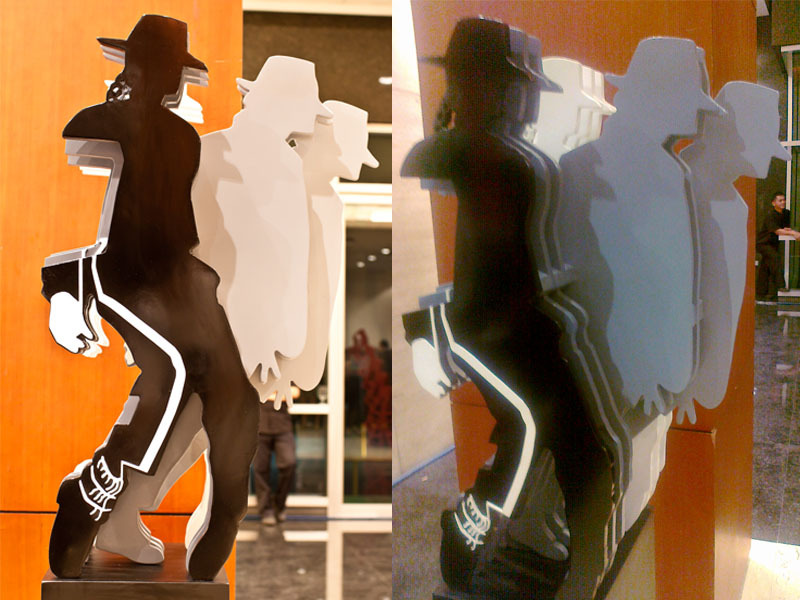 We saw Black Swans, B-Boys, Bob the Builders, Bathing Beauties, and even the King of Pop! 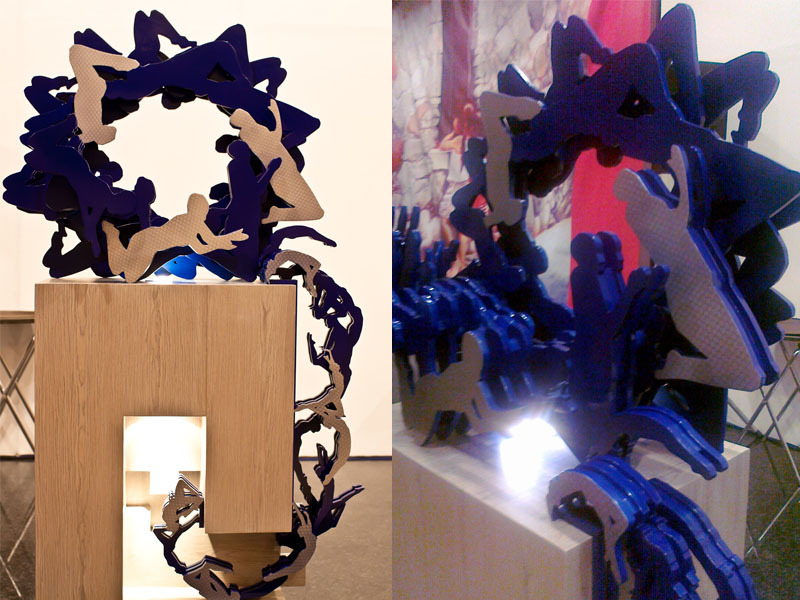 There were three pieces in the exhibit that were different from the others but were interesting nonetheless. Calma also explored a different kind of movement: the lingual and cultural movement that is jejemon. He quotes literary luminaries and juxtaposes its jeje counterpart, much to our delight and out-of-place snickering. Master Poe must be rolling in his grave right now. Ajejeje. It’s easy to see that Calma succeeds in working with a long-favored medium and giving it a youthful edge our generation can relate with. Carlo Calma spoke the Grammar of Movement, and we understood. 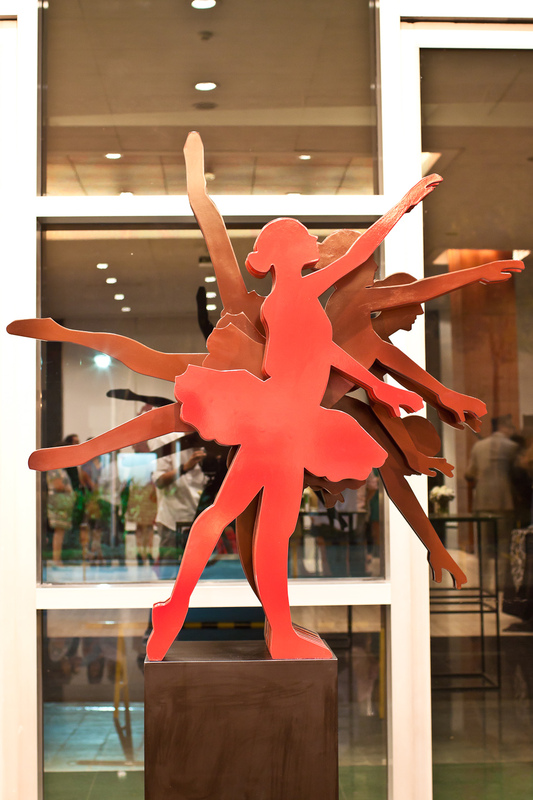 Catch Carlo Calma’s sculptures at the Ayala Museumuntil May 13. 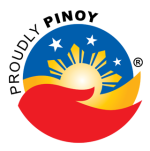 Check out Juan Carlo Calma’s official website too! 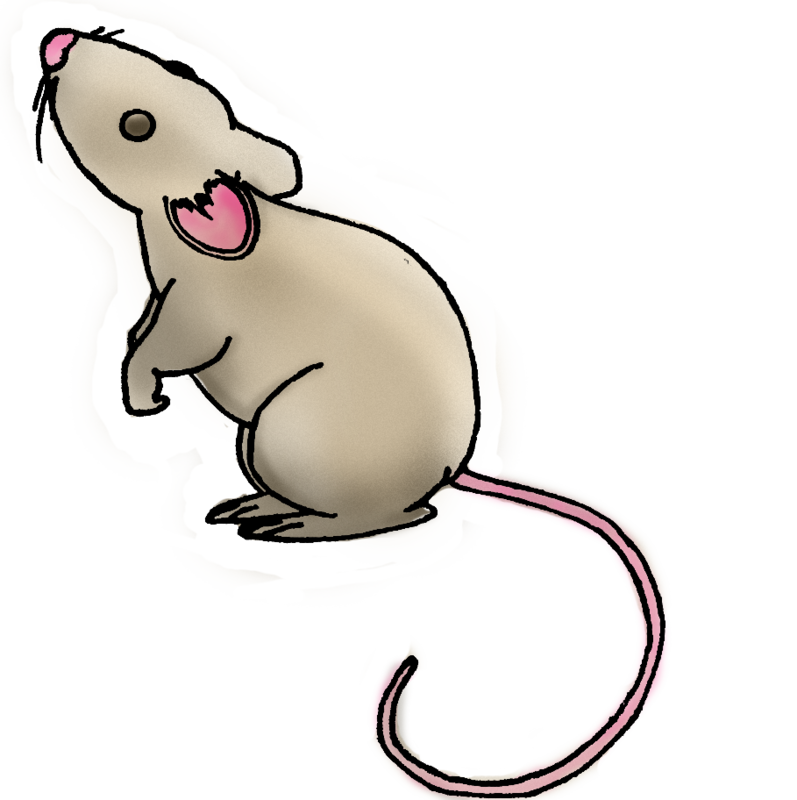 This entry was posted in Spotlight, Tour de mouse and tagged Ayala Museum, Carlo Calma, local, Manila, spotlight, tour-de-mouse by Y2 mouse. Bookmark the permalink.